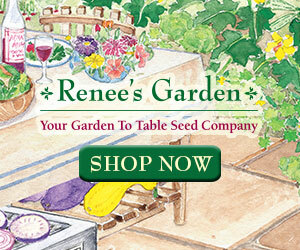 This week I came across some great finds for gardening projects. 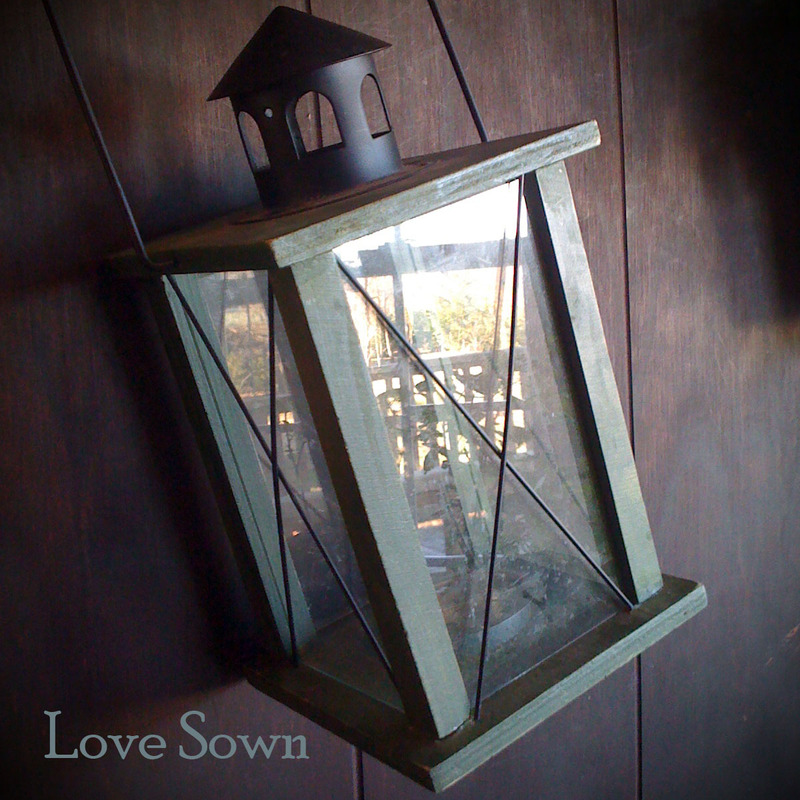 First, I stopped by This Just In Consignments where I picked up an arm load of $1 shirts and shorts for the Baby, and this nifty lantern. 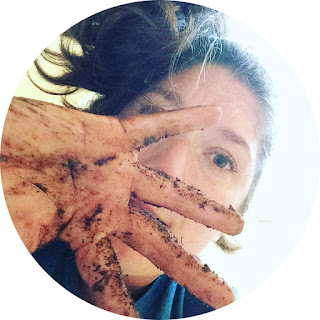 I've been talking to Michelle Smith over at Feminine Modern about writing a guest post on building a terrarium. This lantern is on the smallish side and needs some tender love and care, but might be a great size for the Man-child paint and pick out plants for. For several years now, I've wanted a rain barrel and a composter. 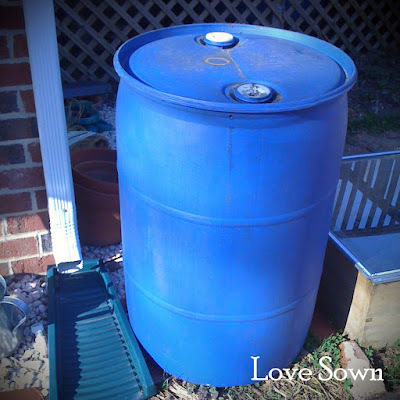 Purchasing one was out of the question due to the cost, but there are plenty how-to guides online for making them out of 55 gallon drums. Case in point: this video on Youtube. I was able to acquire this barrel from a car wash for $5. Hooray for thrifty me! Now for free. 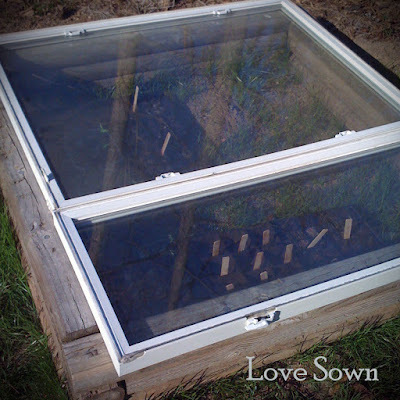 I managed to break the glass window on my cold frame yesterday when I left it propped open in the wind. Yesterday, the boys and I took a trip to our local Habitat for Humanity ReStore, and I scored several windows for free! They were far too large for the cold frame, but we had one intact garden box at the back of the yard, and two windows together were a perfect fit. Here's to some great deals and to the projects ahead! these are all great deals and finds! good for you for getting out there and shopping! I can barely get out of the house without whining these days. Great shopping around !!! Happy for you.